HOODSTOCK New York is Here! Oakland is a lonely place as many of our friends traveled out to Brooklyn to represent the Town this weekend. Posted in Characters, Events | Comments Off on HOODSTOCK New York is Here! HOODSTOCK Oakland (Winter Games 2010) was a huge success. Too many bands were booked so it was broken into three stages; a warehouse; a house; and a converted city bus all on the same block. DJ’s played dope sets between bands and Political Gridlock, Not My Government, and Media Dissent hung an large poster art show. Outside was a camp fire and an army of writers crushing the block. 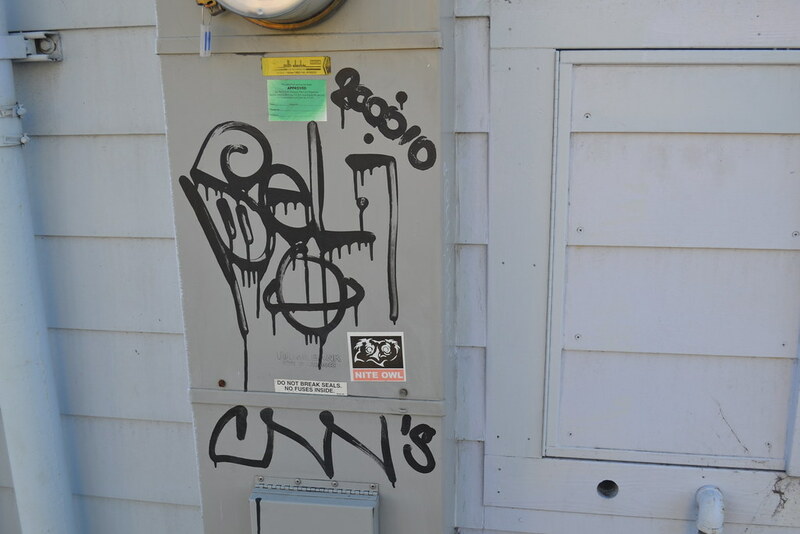 Across the street were massive monster tags. The majority of the performers finished before an under cover cop tackled a writer and a line of cop cars and a van swooped in. I’ll report back on the after parties, but they are still going on so I don’t want to blow them up. 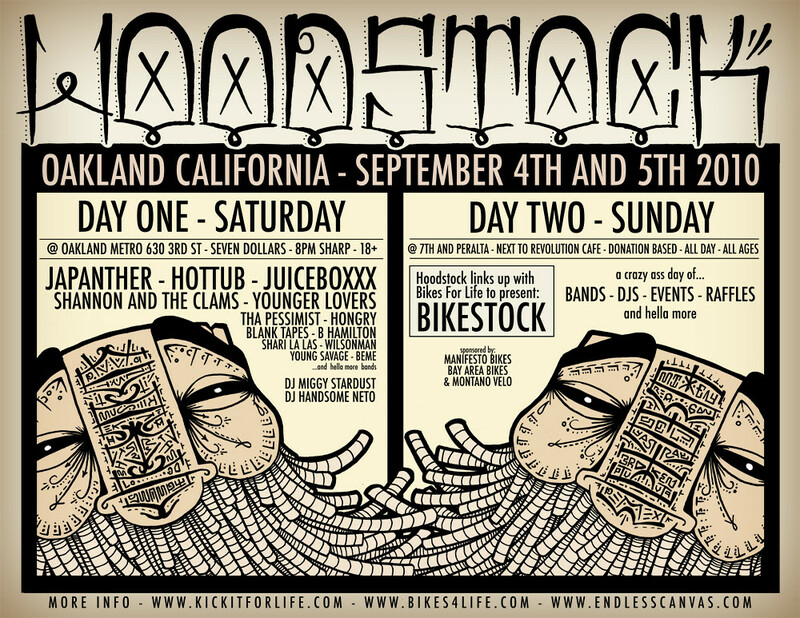 I don’t think there is any venue that can hold Hoodstock Oakland. I’ll also try and post some aftermath photos tomorrow. Damn that was fun.